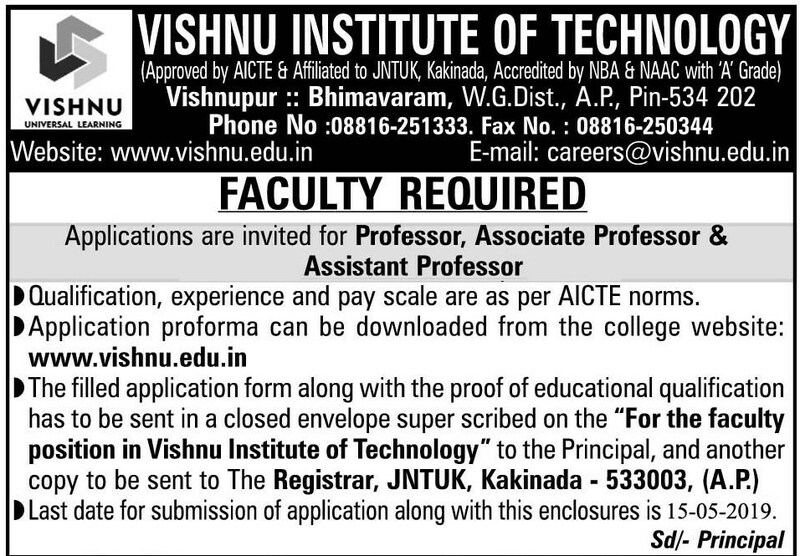 Applications for faculty positions at Vishnu Institute of Technology (VIT) are invited. While advertisements announcing specific requirements are released from time to time in news papers, interested candidates can also send their profile to careers@vishnu.edu.in throughout the year. The received applications are periodically reviewed and shortlisted candidates will be informed individually. The campus is residential campus having facilities like accommodation, recreation, banking, post office, etc. The Institute also sponsors its faculty for pursuing master's and doctoral degrees from premier institutions. The management significantly incentivises publications and frequently invites guest speakers to share their experiences and knowledge with the learning community. 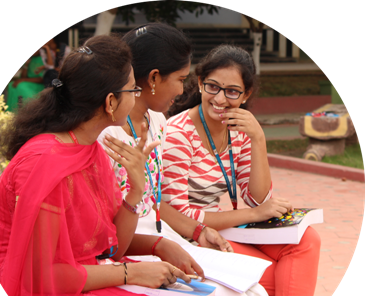 Vishnu Institute of Technology has a motivated and well-qualified faculty. Over the years, the Institute has attracted competent teaching professionals from across the country.